A John Kerry speech is largely geared to protecting the global interests of the USA and calming international tensions. That’s the public face of John Kerry who has taken on the job of Secretary of State after Hillary Clinton’s tension-busting watch. One such tension is the threat of hostilities breaking out in the Korean peninsula. Speeches and rhetoric coming from North Korea’s new leader Kim Jong-un suggest imminent hostilities are possible. Certainly we all thought that after his New Year’s speech. Although South Koreans are used to such rhetorical bluster. 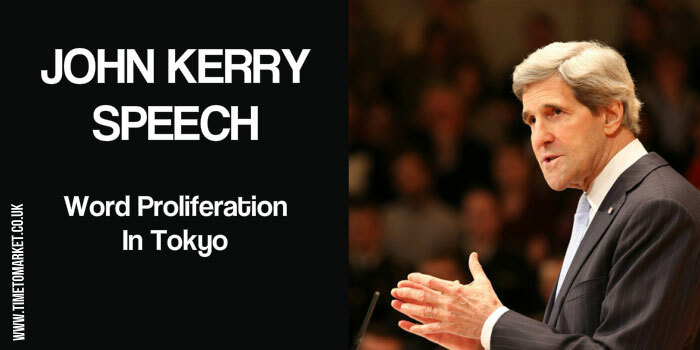 In a speech in Tokyo on Monday, Secretary of State Kerry, using a less not more technique, made clear the world’s disapproval of nuclear proliferation in the peninsula. At a time when the world is moving toward fewer nuclear weapons, not more, when President Obama has articulated a clear vision for nonproliferation, the last thing we need is one or two more states bucking the trend of history and common sense. North Korea must immediately stop its provocative speech and behavior, and show it is taking specific steps toward denuclearization. It’s not the “nucular” word hash of former President George W. Bush. It’s worse. The fact that he tripped over his pronunciation of the word suggests it’s the wrong word for a public speaker. Simplicity in words counts for more. And simplicity in words and deeds counts for more than word proliferation for a new Secretary of State. 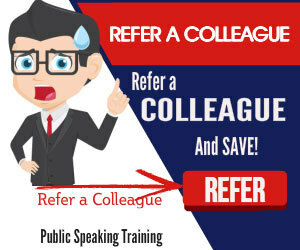 These language techniques for effective public speaking might help you. When you need to work on your next speech, in Tokyo or elsewhere, you can read all about public speaking gobbledygook. But,bear in mind that a public speaking skills refresher can help. 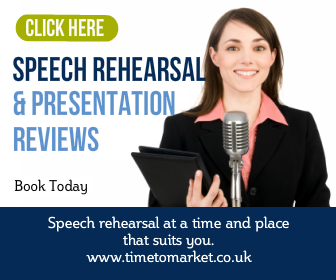 This half-day one-to-one coaching session gives you the time to practise, edit and refine your speech. And, because you have a skilled coach with you, then you can expect excellent feedback. So, please don’t hesitate to get in touch.